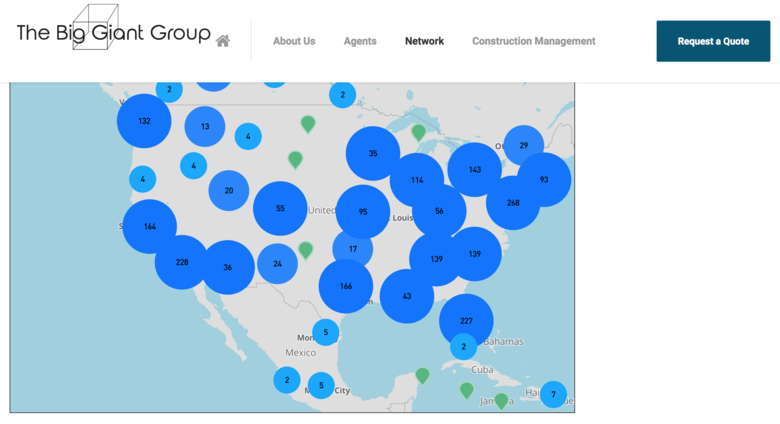 For clarification, imagine a white label map - customized with YOUR COMPANY NAME followed by the words Network Map and all locations on the Map have Contact Us pointing to YOUR EMAIL address. This map ONLY has [YOUR COMPANY NAME] and all the in-bound leads go to YOUR Email Address. To locate the EMBED CODE for [YOUR COMPANY NAME} Network Map, please click on the My Profile tab above, while signed into the We Get Around Network Forum. Not yet a We Get Around Network Basic, Standard or Premium Member? To locate the EMBED CODE for [YOUR COMPANY NAME] Network Map, please click on the My Profile tab above, while signed into the We Get Around Network Forum. Aerial Look – "Aerial Look serves customers across the globe. Whether in need of drone, 3D or still photography, we have ALL qualified service providers in all major markets across the globe. 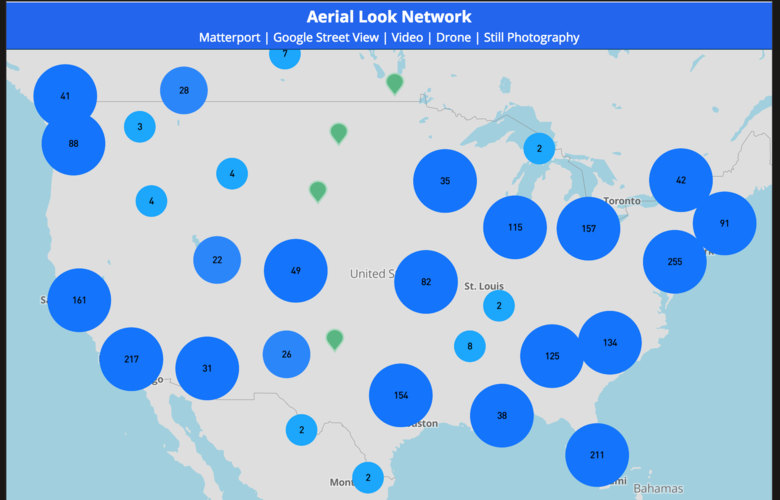 Use the map to locate a service provider near you," says the Aerial Look website just above the Aerial Look Network Map. 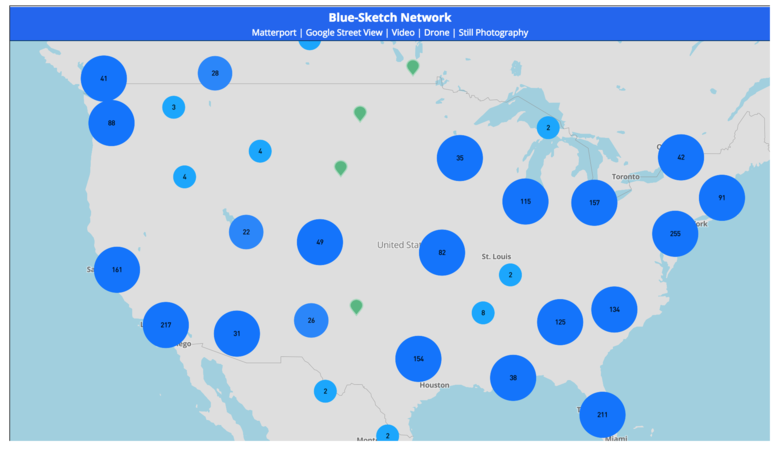 Blue-Sketch – "Each month we interact with thousands of real estate agents and brokers, some of which have no previous knowledge of Matterport but are curious about it. We want to make it easy for these clients to source a Matterport Pro, still Photographer, videographer, and aerial photographer. We are thrilled to be able to funnel these inbound leads to our Blue-Sketch clients who provide these services. 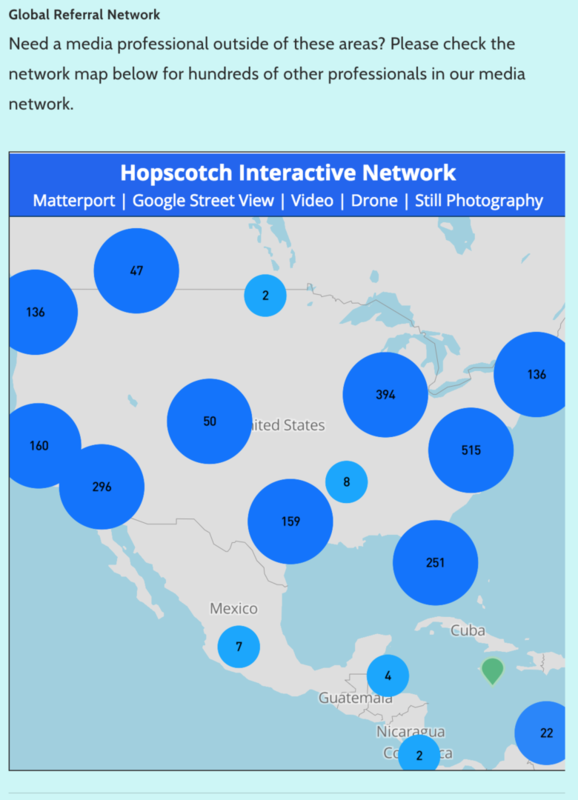 If you are interested in connecting with a Matterport Pro in your area, find one on the map and fill in the details," says the Blue-Sketch website just underneath the Blue-Sketch Network Map. 9. Does not have to be Matterport only. We Get Around can help you source photographers, videographers, aerial, etc. – anywhere. More reasons to embed the [YOUR COMPANY NAME] Network Map in your website? Here is an example of what the full page Network Map looks like for Aerial Look. Notice that there is no We Get Around branding and that the leads get emailed to Aerial Look. Questions? Please post here or Private Message (PM) me. 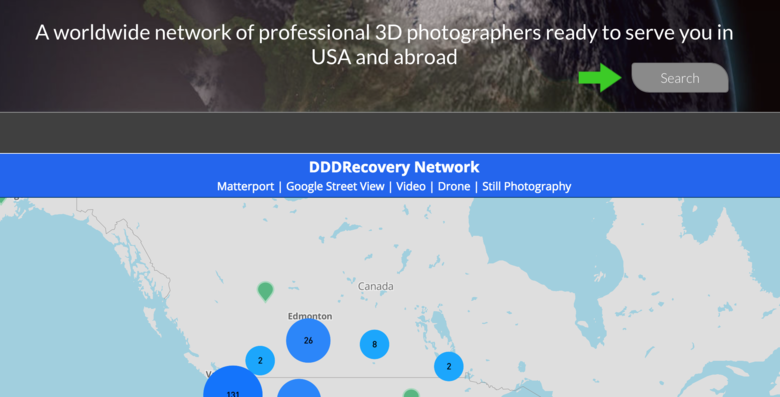 Screen Grab of enviroscan3D Network Map embedded on the front page of envioscan3D.com. 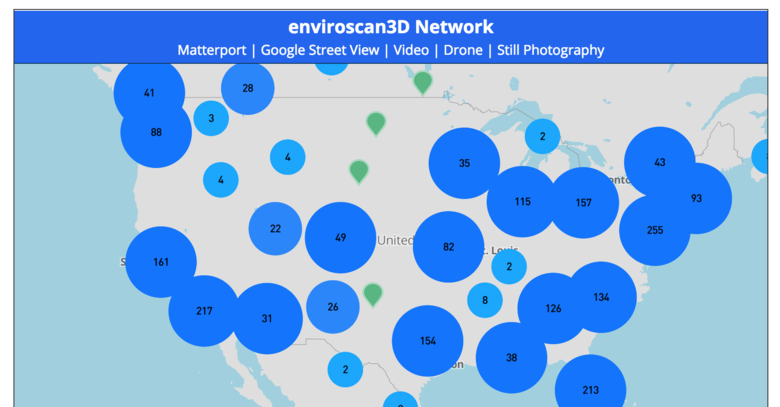 To help generate inbound leads from anywhere, San Francisco-basedd enviroscan3D Founder @DougTse embedded the envirscan3D Network map on the front page of the enviroscan3D website (scroll down). WGAN Basic, Standard and Premium Members: look for your custom map embed code on My Profile tab (above). Embedded your map? Complete this form to save 10 percent forever and get an extra WGAN Find a Matterport Pro Map forever (as long as you are a Basic, Standard or Premium Member. Need a media professional outside of these areas? 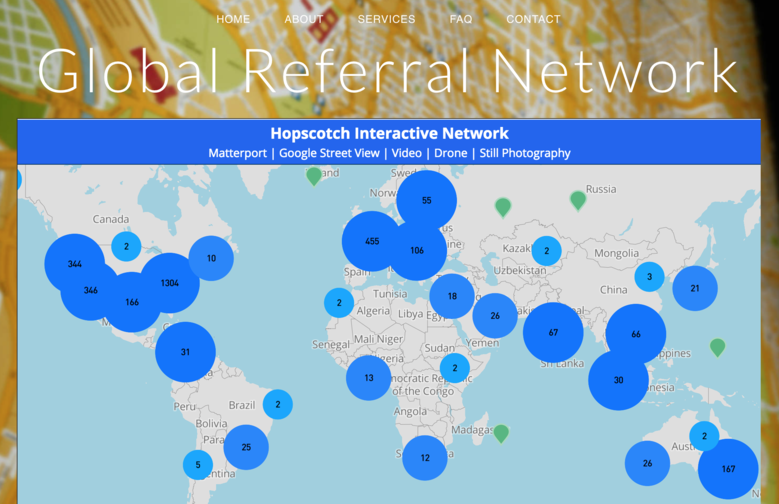 Please check the network map below for hundreds of other professionals in our media network. 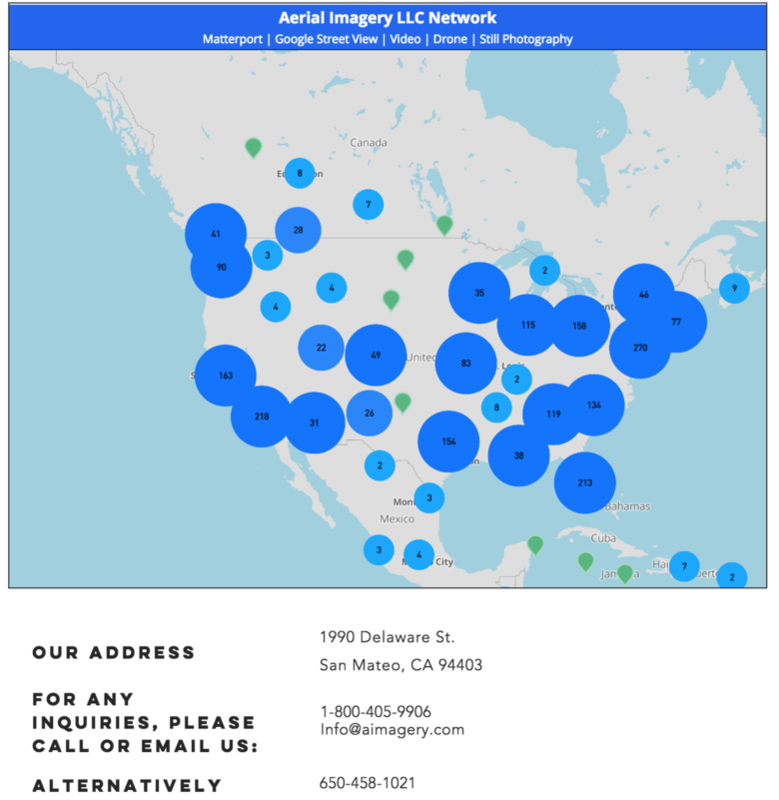 In this use case, Aerial Imagery LLC added the Aerial Imagery LLC Network map on the Contact Us page (See Screen Grab above); or, go to the home page and scroll down. In this use case, TriReality added the TriReality Network map on the Contact page (See Screen Grab above). We can help you show off like a pro anywhere in the world! 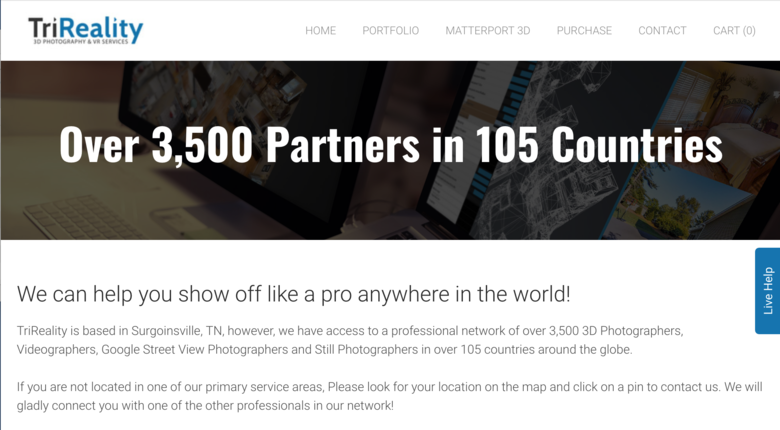 TriReality is based in Surgoinsville, TN, however, we have access to a professional network of over 3,500 3D Photographers, Videographers, Google Street View Photographers and Still Photographers in over 105 countries around the globe. If you are not located in one of our primary service areas, Please look for your location on the map and click on a pin to contact us. We will gladly connect you with one of the other professionals in our network! I how you have embedded the TriRealty Network map into your website (and marketing). Reminder: Leverage your Matterport expertise by offering your services anywhere and make the difference between what you charge your client and what you pay another Matterport Service Provider. 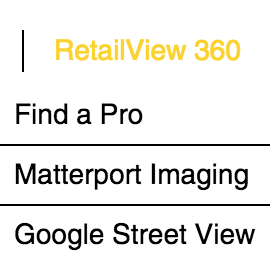 Here's how greater Dallas area-based Allan Retail Group (@Spaceview360) President Dorothy Allan has embed the white-label version of the WGAN Map - Allan Retail Group Network - under the RetailView 360 Find a Pro tab. Bonus: And, when you embed the WGAN Network Map - rebranded with your company info and email address (not us) - you save 10 percent monthly on WGAN Basic, Standard and Premium Membership and get an additional location on the WGAN Find a Pro Map. Here's how The Big Giant Group in Atlanta integrates the white-label WGAN Network Map as The Big Giant Group Network. 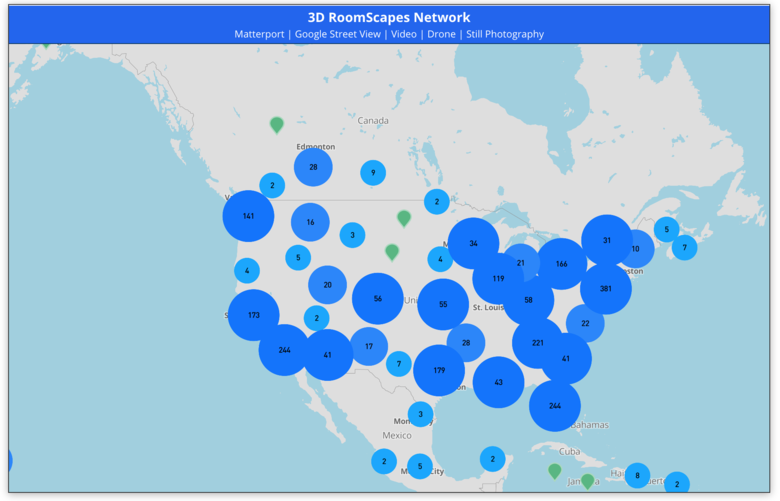 Your 3D RoomScapes Network Map looks great! Your Charleston 3D Advantage Network Map looks great!